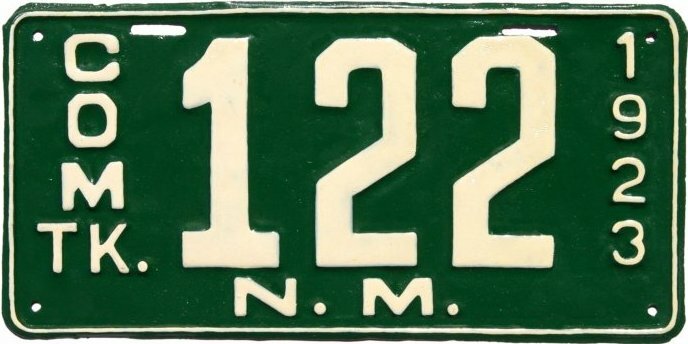 From 1913 through mid-1923 all trucks received the same license plates as cars. 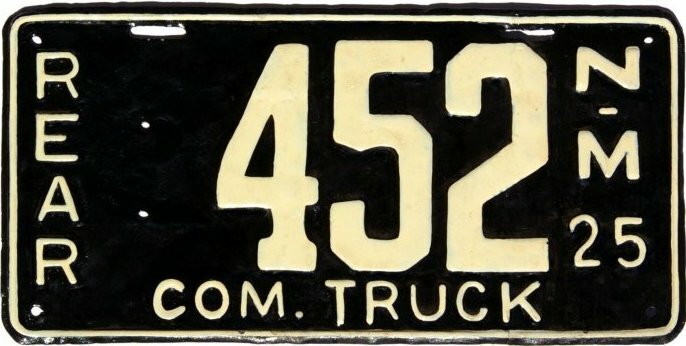 Beginning July 1, 1923, trucks in commercial service were required to obtain special Commercial Truck license plates, a practice which continued through 1929. (During this period trucks in private use continued to receive car plates.) 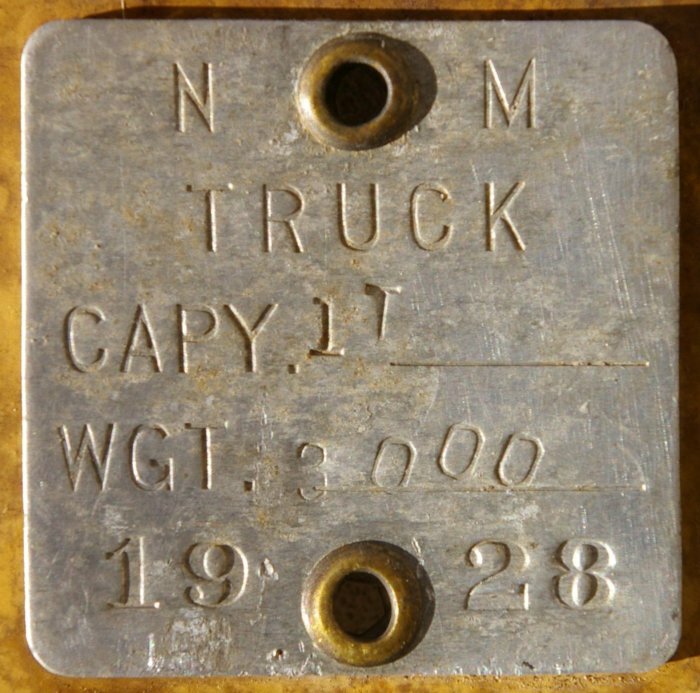 In 1930 all trucks, both commercial and private, were transitioned to a universal “Truck” plate. See the Truck page for more details on these.